Ligularia is an excellent addition to any gardener’s shade garden. Ligularia should be planted in an area that has partial shade to full shade. Though Ligularia can tolerate some sun, it is prone to severe wilting if it receives too much direct sunlight. If you have an area that receives morning sun then afternoon shade or filtered light for the majority of the day, consider incorporating ligularia as a great, course-textured addition. Ligularia is great planted as a specimen plant but can also be used as a ground cover. This plant is slow to spread and produce new plantlets, so if you're considering covering a large area with ligularia, consider making a tighter planting. Plants can be spaced at 18 to 24 inches apart. As these specimens become established, they will put off more, larger foliage as well as new plantlets that will eventually fill in the area between the plants. Ligularia is very easy to get established into the garden so long as it's planted in a high-organic soil mix with plenty of humus-rich soil. This can be accomplished by simply adding peat moss or compost to the area before planting. Be sure that the gardening area is fertile with a moist but well-drained soil. Ligularia typically blooms in late summer to fall with stems of yellow flowers that can reach up to 2 feet tall. Individual flowers can be up to 1 inch in diameter and present on the stem for weeks, even months. For the most part, Ligularia has very little insect or disease problems except for leaf-eating insects. These can become problematic to the foliage of Ligularia in late summer. These insects can be controlled with nearly any insecticide recommended for leaf-eating insects. Rabbits can also pose a problem as they cut the stems of the plant then eat the foliage. Many different cultivars are available in the nursery. 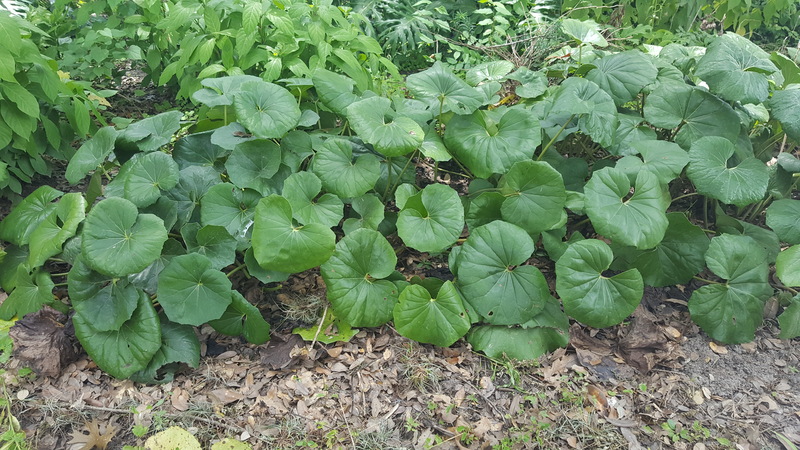 One of the most notable varieties is the leopard plant. This cultivar has yellowish green foliage with very prominent yellow spots. Another popular variety used by gardeners is the Gigante or giant Ligularia. This variety can produce leaves 15 to 20 inches across, while the clump itself can reach 3 feet tall. Giant ligularia produces one of the most unique glossy, circle-shaped leaves. Often, the leaves resemble a tractor seat, leading to its other common name, the tractor seat plant.